Located on Dover Beach in the St. Lawrence Gap area, Sapphire Beach #203 is part of a gated community that offers an exceptional beachfront location and amenities including two swimming pools and a fitness center. Best of all, guests can easily walk into nearby St. Lawrence Gap to visit one of Barbados’ best tourist areas. Beachfront and close to shops! 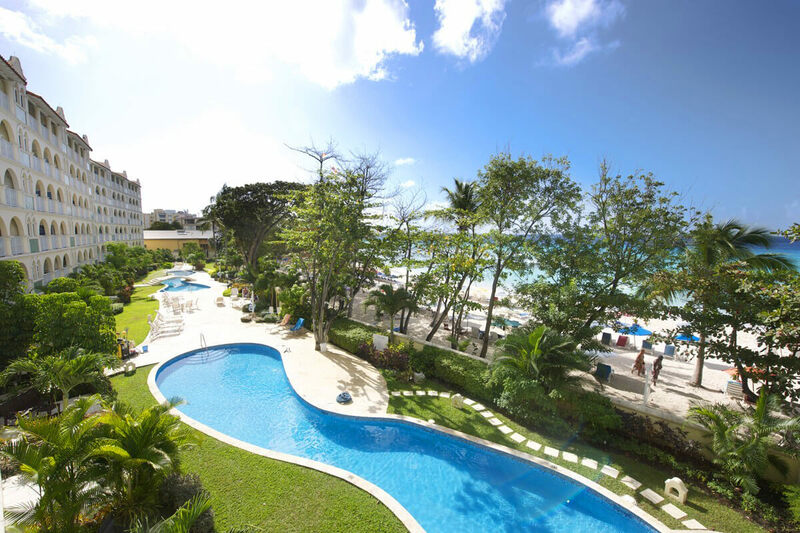 Families, couples, or small groups of friends traveling together will enjoy the modern style and traditional touches that Sapphire Beach #203 has to offer. Located on popular Dover Beach, the property is convenient to restaurants and attractions of St. Lawrence Gap. Amenities like the fitness center, two swimming pools, and complimentary parking for guests are a real bonus for vacationers, too. Choose from three bedrooms (including two master suites) and three bathrooms. One bedroom has a king bed, en-suite bathroom with his and her sinks, and direct access to the balcony with views of the Caribbean Sea. The second bedroom has a king bed, love seat sofa, and an en-suite bathroom with his and her sinks. The third bedroom has two twin beds and is adjacent to the hallway bathroom. Each bedroom has air-conditioning and a fan for added comfort. Caribbean art adorns the walls and furniture throughout the villa. For “down time” entertainment, there are four cable TVs with built-in DVD players. In addition, an MP3/iPod docking station is located in the living room, and wireless Internet is available throughout the home. Professional maid service is provided two days per week. Two large resort community pools.